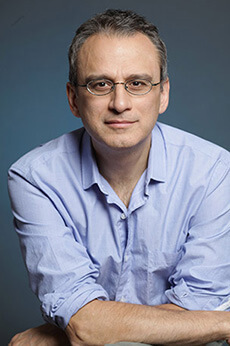 William Deresiewicz is an award-winning essayist and critic, a frequent college speaker, and the best-selling author of Excellent Sheep: The Miseducation of the American Elite and the Way to a Meaningful Life. He was a professor of English at Yale for ten years and a graduate instructor at Columbia for five. His essay “The Disadvantages of an Elite Education” has been viewed over one million times online. “Solitude and Leadership,” an address at West Point, has been taught across the military and corporate worlds. He is a contributing writer for The Nation and a contributing editor for The American Scholar, for which he wrote the All Points blog on culture and society from 2011-2013. His work has also appeared in The New York Times, The Atlantic, Harper’s, The New Republic, Slate, Bookforum, The Chronicle of Higher Education, The New Yorker online, and The London Review of Books. His previous book is A Jane Austen Education: How Six Novels Taught Me About Love, Friendship, and the Things That Really Matter (2011). 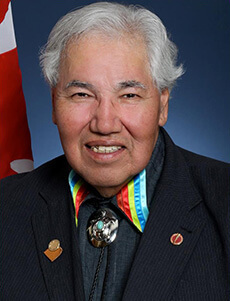 Senator Murray Sinclair served the justice system in Manitoba for over 25 years. He was the first Aboriginal Judge appointed in Manitoba and Canada’s second. Maggie MacDonnell grew up in rural Nova Scotia and after completing her Bachelor’s degree, spent five years volunteering and working in Sub Saharan Africa, largely in the field of HIV/AIDS prevention. After completing her Masters degree she found her country was beginning to wake up to the decades of abuse that Canadian Indigenous people have lived through, including assaults on the environment and enormous economic and social inequality. As such, she sought out opportunities to teach indigenous communities in Canada and for the last six years has been a teacher in a fly-in Inuit village of Salluit. Ms MacDonnell’s teaching approach is centred upon turning students from “problems” to “solutions” through “acts of kindness.” This approach has dramatically improved school attendance. MacDonnell encourages her students to working in community kitchens, attending suicide prevention training and hiking through national parks to understand environmental stewardship. Maggie MacDonnell was awarded the 2017 Global Teacher Prize out of thousands of applicants from around the world. The award is presented by the Varkey Foundation. The prize was established three years ago to recognize one exceptional teacher a year who has made an outstanding contribution to the profession, employs innovative classroom practices and encourages others to join the teaching profession. Rick Hansen is a Canadian icon who has dedicated his life to creating a world that is accessible and inclusive for all. Best known as the “Man In Motion” for undertaking an epic two-year 40,000 km journey around the world in his wheelchair, Rick is also a three-time world champion, nine-time Pan Am gold medalist, and three-time Paralympic gold medalist. 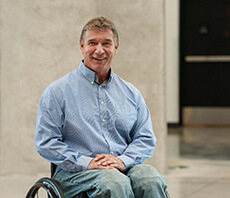 He is the Founder & CEO of the Rick Hansen Foundation, an organization committed to creating a world without barriers for people with disabilities—rickhansen.com. Amal Elsana Alhjooj is a Bedouin/Palestinian Israeli who is a strong advocate for women’s rights, Bedouin rights, and peace. At the age of 17, Amal founded the first Bedouin women’s organization. She attended Ben-Gurion University of the Negev in Israel. She is presently completing her doctorate at McGill University. Ms Alhjooj is the Executive Director of McGill’s International Community Action Network, a program committed to providing legal aid, education, and housing to individuals living in disadvantaged regions of Palestine, Israel, and Jordan. 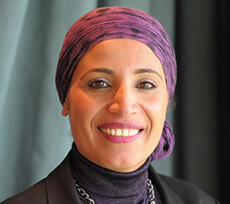 Ms Alhjooj is the founding director of AJEEC – Arab Jewish Center for Equality, Empowerment and Cooperation. 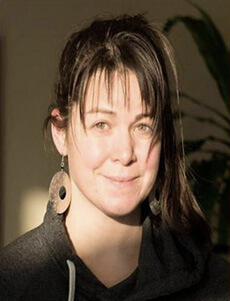 She is also the co-director of NISPED – Negev Institute for Strategies of Peace and Development. In 2010, the Israeli business publication, The Marker, listed Alhjooj as one of the 101 most influential people in Israel. She is also a Nobel Peace Prize nominee. Bishop’s University is pleased to offer lectures for home viewing on a computer via live stream. Alumni, parents, faculty, staff and students of Bishop’s University will receive a password protected link and corresponding password via email on the afternoon of the lecture date. Copies of the lecture will not be made available after the event. If you are a parent or alumni and would like to ensure you receive this email, please contact alumni@ubishops.ca. Donald Lecture Series speakers have been selected from nominations submitted by Bishop’s students, faculty, staff and community members. The Donald Lecture Series Advisory Committee is comprised of students, staff, faculty and community members, and provides recommendations to Principal Michael Goldbloom on the speakers. Nominations for the 2018-2019 season will open in March 2018 – we welcome your ideas!